AmigoCloud (enterprise software, GIS) – AmigoCloud is a next-generation mapping technology company, providing mobile Geographic Information System (GIS) solutions with advanced offline support. Available on Android and iOS devices, AmigoCloud makes geospatial data collection, administration, and sharing simple. Founded by Ragi Burhum and Victor Chernetsky on the idea that “Everything is Somewhere”, AmigoCloud is on a mission to build the collaborative tools to put it all on a map. By leveraging modern smartphone hardware, open systems, open datasets, and patent-pending technology, AmigoCloud is changing how organizations and individuals collect, edit, visualize and analyze geospatial data. AmigoCloud believes that Geographic Information Systems should be accessible and easy-to-use for everyone. Clef (enterprise software, password security) – Clef has successfully done away with passwords for 30,000 sites across the Web, with its consumer-friendly two-factor authentication. Clef uses cryptography technology and smartphones, eliminating the need for passwords and PINs. Just two months ago, Clef closed a $1.6 million round of funding, and has hit an amazing growth trajectory. Not surprisingly, Clef holds appeal as a security tool for non-technical folks because it is easier than passwords. But interestingly, Clef is gaining fast traction among Bitcoin companies because of the increased demand for anti-fraud technologies across Bitcoin networks. Since integrating with Bitcoin companies like Koinify, which does crowdfunding, Clef has doubled the activity across its network. Here’s how Clef works: Instead of adding another step to logging in with a password, Clef replaces the password completely to make logging in easier and much safer. Clef recognizes the user’s phone using a proprietary technology called the Clef Wave and the phone’s camera. Clef is hardware agnostic, easy to integrate into any site, and incredibly simple for users. DropThought (enterprise software, analytics) – DropThought’s Instant Feedback and Text Analytics Platform is a Enterprise SaaS solution to get real-time, actionable customer feedback. Comments are analyzed using proprietary text analytics technology to generate actionable insights. DropThought is currently working with multiple large enterprises such as Cisco, Adobe, Juniper on Voice of Customer and Voice of Employee application. The company has partnered with First Data, which provides access to approximately three million small and medium-size businesses. DropThought is working with approximately 1000 merchants on First Data’s Clover platform. DropThought’s revenue model is based on a SaaS subscription fee. DropThought’s Instant Feedback platform leads to significantly greater engagement numbers and actionable feedback than provided by surveys and other feedback sources commonly used by companies. Farm Hill (consumer, food) – Farm Hill is charting the future of healthy eating by pioneering an innovative food service concept: meals consisting of entirely fresh, healthy, and unprocessed ingredients and directly delivered to customers. Farm Hill’s ambition is to create a national-scale brand centered on healthy, whole foods. Especially outside of urban areas, it’s hard to find affordable, healthy meals that actually taste good. Farm Hill believes everyone should be able to eat well, so they deliver wholesome, fresh, delicious meals directly to customers – all for less than $10. Customers place orders online and receive delicious, freshly-prepared meals the same day. Farm Hill was founded out of the Stanford d.school by Mark Wittman and Marc Manara, two grad students passionate about food and nutrition with backgrounds in software and sustainability. Executive Chef Thea Vengrin joined Farm Hill in late 2013 and leads the company’s culinary team and designs the weekly menus. Thea previously worked on Facebook’s culinary team and studied at the Culinary Institute of America. Farm Hill initially operated as a bootstrapped pilot in Campbell, CA. This November, the company officially launched in Palo Alto, Redwood City, and Menlo Park. To date, the company has delivered over 60,000 meals to businesses in the South Bay and has been growing rapidly since launching in the Peninsula,with an average customer ordering twice a week. Haystack TV (consumer, news media) – Haystack TV empowers users to watch the news they care about with a personalized headline news channel. Haystack TV’s vision is to replace traditional television and cable news broadcasting and to be the primary way consumers watch news on any screen. Haystack TV processes millions of user-generated data points every day to build a real-time interest graph across world, local, and interest based video news. The company’s personalization and big data technology enables a seamless leanback experience that works on smartphones, tablets, TVs and PCs. Since launching last year, Haystack TV users have already watched millions of news videos through the company’s service. HeartThis (consumer, shopping) – HeartThis is building the most convenient way to shop online by putting all their favorite stores in one place. Users tell HeartThis their favorite stores and categories and then receive a personalized feed of products and sales. 75% of HeartThis target users are women 25+. The company grew from 21k to 293k monthly active users in Q4 2014 with $0 in marketing. The company starts Series A fundraising this month and is seeking potential investors. Life360 (consumer app)- Founded in 2008 and based in San Francisco, Life360 is the largest family network, with over 50 million families using the app globally. The company’s utility-focused app is centered on keeping families connected regardless of how busy they become, through utilizing cutting edge location and communication technologies. Life360 was founded with the recognition that managing the day to day for families is a full time job. Whether making dinner plans, coordinating carpools, or just ensuring everyone arrived home safe, Life360 gives family members simplified communication and peace of mind right at their fingertips. Life360 is actively building an ecosystem of partners including industry leaders like: ADT Security Systems, SmartThings, IFTTT, Nest, Ford and BMW to bring the benefits of family and location awareness to life today to share with users. 1.5 location updates processed daily. Lightup (consumer, toy) – LightUp is inspiring the next generation of innovators by making connected toys that adapt to kids as they play and learn. The company’s debut product line combines magnetic circuit blocks with an augmented reality app, teaching kids about electronics and programming by letting them build fun projects in the real world. LightUp was born when Josh (MA in Education / high school science teacher) and Tarun (MS in EE / PhD dropout) met at an educational research lab. In just a year Lightup has gone from a successful Kickstarter campaign (250% overfunded) to an Amazon launch (2014 Holiday Toy List), and has sold over 4,000 units in just the last two months. Lightup is launching a new product this summer that will let kids explore the Internet of Things by programming their own internet-connected projects. Lightup is backed by a stellar set of advisors and investors, including the past president of Kmart, the co-founder of MakerBot, and SOSventures. Maestro (enterprise, digital) – Maestro is the future of content, delivered through the world’s most advanced multi-channel network. The company enables content creators to become digital MCs—curators who engage audiences using tools built on the modern real time web. No matter live or on demand, experiences become a two way dialog with curated commentary, user generated content, and other contextual information related to the video. Here’s how it works: Maestro takes a white labeled template, inputs the brand aesthetic and content, plugs in a sponsor, customizes within minutes, and launches. Customers drive traffic to their own digital destination for their audience where they fully control engagement and monetization. The result is a turn-key solution that leads to engaged fans, powerful analytics, and meaningful revenue. 17M end users have been part of digital experiences and over $2M has been generated in sponsor revenue for clients. Maestro’s customers includes all of the biggest event promoters in the world, the largest festival in North America, a top 10 international DJ group, and several major sponsor brands. This quarter, the company is expanding into fashion, gaming, and sports. To scale even faster, Maestro’s self-service platform launches next month to generate recurring revenue and bring the future of content to the masses. PayJoy (consumer, finance)– PayJoy brings consumer finance to the next billion people worldwide who aspire to join the middle class. Patent-pending technology lets customers pay for goods through a monthly installment plan rather than having to pay the entire cost up front, while minimizing the risk of default. PayJoy will enable people to purchase smartphones, laptops, televisions, microwaves, refrigerators, washing machines, and more, for the first time in their lives. Polarr (consumer, photography) – Polarr helps photographers of all levels to improve their photographs by minimizing the technical barriers that make it challenging for photographers to produce photos with the exact look and feel they’d like to achieve. Polarr is an intelligent photo processing engine and a creativity assistant that coexists and co-evolves with users. Polarr’s software solution learns users’ unique anesthetic styles and provides recommended and customized renditions of their photos in a high quality and production ready environment. Polarr offloads the work of rendering and delivering art so that photographers can spend more time shooting and sharing. PredictionIO (enterprise, data science, software development) – PredictionIO is an open source machine learning server that today powers hundreds of smart applications. The company’s solution ranks top on Github with over 5000 developers engaged. Funded by top investors, PredictionIO empowers data scientists and developers to build and deploy machine learning applications in a fraction of the time. Snitch (consumer, home security) – Snitch is creating a next-gen security camera that combines the excellent user experience of Dropcam with the security and reliability of a professionally-monitored alarm system. Snitch was founded to addresses common problems related to current home alarm systems: Your home alarm system should know your dog is not a burglar. You should never have to think about arming or disarming. Your home should be able to tell you who has visited in the last month. The company’s founders leverage experience in building the perception system of the Stanford self-driving car and the massive infrastructure of Google Street View. Summer Technologies (enterprise software, agriculture tech) – Summer Technologies is a sustainable agriculture software startup that is transforming the cattle industry by bringing precision analytics to grazing management. The company’s first product, PastureMap, is a mobile platform helping cattle ranchers improve productivity with geotagged images, rainfall, and soil data, and make better decisions on where and how long to graze their cattle. Summer Technologies’ solution helps ranchers save time, boost productivity, and grow healthier grass and soil. Backed by The Stanford TomKat Center, Westly Foundation, and StartX, the ag tech startup has customers in five states and three countries, and expanding its platform into dairy and high value crop monitoring. Summer Technologies’ mission is to empower farmers to transform their industries sustainably through technology. agriculture. Switchmate (consumer, “smart” home device) – Switchmate is making home automation simple. Most “smart” devices claim to make life easier when, in fact, they’re often complicated and require an electrician to install. Switchmate is out to change that. Customers across the country love the prototypes placed in their homes, and the company today has over 9000 people on its mailing list. Switchmate is founded by a team hailing from backgrounds in robotics, electrical engineering, and industrial design. ToneDen (consumer social platform, music) – ToneDen is a social platform that connects artists and the industry directly to their audiences. The company’s bootstrapped private beta has over 40,000 artists using the platform as a command center for their content online. Over 200 partners in the music industry use Toneden’s social platform to manage and grow their reach. The new social messaging app provides creators and fans with a direct line of communication. Artists and the industry will be able to easily target and engage fans with new content. Fans will get the best channel to discover and consume content. Toneden aims to build the best community for creators, fans, and the industry to interact in a meaningful manner. Vouch (consumer, social network, loans) – Founded in 2013 by a team of PayPal and Prosper alumni, Vouch is the first social network for credit. Vouch makes credit accessible to borrowers whose FICO scores may not reflect their true creditworthiness by leveraging a patent-pending underwriting model designed to augment traditional credit scores. Unlike other lending institutions, Vouch utilizes the creditworthiness of an entire community of people around the borrower to make lending decisions through a “vouching” system – going beyond examining the borrower’s own individual data. People are able to get better rates on loans and lower monthly payments by having their personal network vouch for them. Vouch is chartered to lend in all 50 states and is backed by leading venture firms, including First Round Capital, Greylock and IDG Ventures. Vynca (enterprise, healthcare) – Vynca improves the quality of care and reduce unwanted healthcare expenses. A healthcare technology company based in Palo Alto, CA, with roots in the Stanford Program in Biodesign, Vynca offers a suite of high value cloud-based products that enables best practices in advance care planning by helping patients and their doctors better communicate regarding healthcare decisions when faced with terminal illness. Vynca bridges the care continuum by integrating within the workflow of electronic medical records to share end of life documentation so the most up to date information is actionable during an emergency regardless of where the information was completed or accessed. StartX has witnessed, along with the rest of Silicon Valley, a renaissance in hardware startups, particularly connected devices. Therefore, we intentionally sought out premiere, global hardware companies with a presence in the Valley looking for such technologies. Samsung, with its Global Innovation Center (GIC) and Digital Media & Communications (DMC) R&D Center, fit that mold perfectly. The Global Innovation Center is a gateway for startups around the world and the larger Samsung organization. The GIC is focused on creating breakout software and service products that power the best consumer experience on Samsung devices and appliances. Digital Media & Communications R&D Center of Samsung (DMC R&D Center) is a research hub concentrating on core and advanced technologies in consumer electronics and home appliances. DMC R&D engages with early-stage startups through joint development and IP acquisition to accelerate innovation. Key interest areas include but are not limited to connected sensors, power solutions, wearables, consumer robotics, optics, health monitoring, and machine learning. Given Samsung’s broad product and technology portfolio, including medical devices, a partnership with the accelerator is of great mutual benefit to both Samsung and StartX. Samsung is interested in StartX to offer strategic support and get early exposure to the best technology and talent coming out of the Stanford student, alumni and faculty communities. StartX and StartX Med support more than 220 fast growing startups and 560 entrepreneurs working on challenges in biotech, consumer internet, enterprise, mobile, gaming, hardware, and healthcare IT. Samsung joins us with Signature Partner status (our highest tier of partnerships) for the Spring and Summer 2015 sessions of StartX. We are thankful for their financial assistance with our community-driven program. When Forbes publishes its annual 30 Under 30 list, the StartX community starts buzzing. Today, with 12 of our founders selected as finalists, we have a lot to talk about! It is truly a distinguished class, spanning 20 categories including Healthcare, Energy, Music, Media, Venture Capital, Law, and etc. We congratulate you all! A team of judges in each category had the difficult task of narrowing down about 600 young professionals whose achievements, impact, and potential are noteworthy. Forbes says, the whole process stretched from October to December last year. At StartX, we see many extraordinary founders in our application process which takes place 2-3x yearly, so we can imagine how tough it might be to start from a huge pool of outstanding individuals and narrow that down to find people that are really standouts. Nevertheless, we’re thrilled and appreciative that Forbes made the effort to highlight their incredible stories. This year, we’re especially excited that StartX Founder Cameron Teitelman was named in the Venture Capital category. Teitelman began working on our nonprofit in his junior year at Stanford in 2009. With a strong, steady vision and passionate leadership, he’s made a huge impact on accelerating the pace of innovation and the professional development of more than 450 entrepreneurs. In 2013, he launched the Stanford StartX Fund, which has invested $25 million in StartX startups to date. 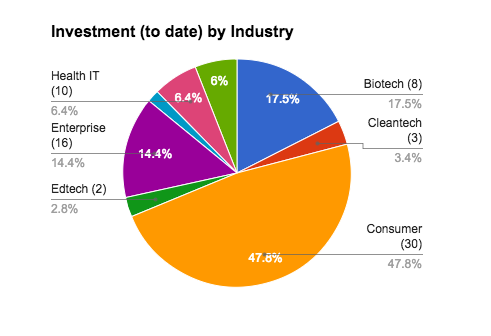 The portfolio at large includes close to 200 startups that have raised $450 million in funding. Forbes says it envisions the 30 Under 30 distinction as a “positive and idea-exchanging club whose alumni can connect to share ideas,” with each other and others in the Forbes network. It even has an app just for alumni to help boost networking and swap ideas. Last year, more than 1000 alumni gathered for the 30 Under 30 Conference in Philadelphia. The conference for the 2015 contingent is scheduled for the Fall. 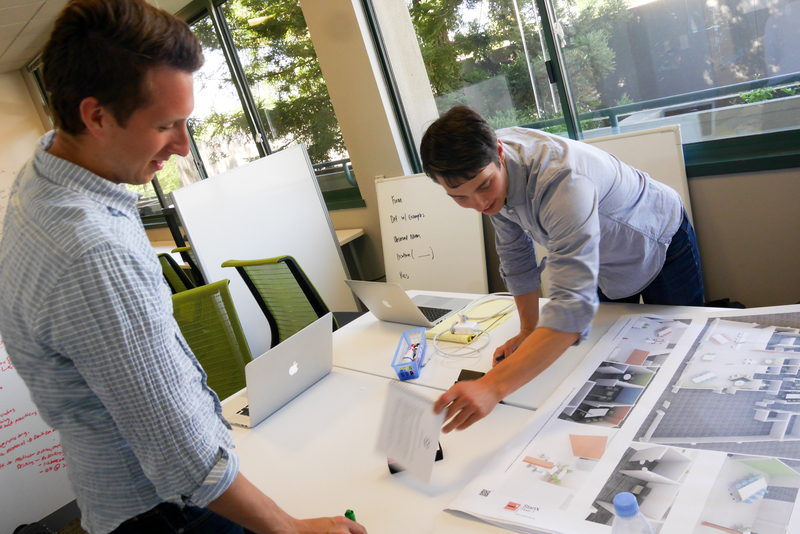 New Founders at New StartX, Summer 2014 Takes Off! StartX is excited to offer a glimpse into the Future via our newest cohort of entrepreneurs that comprise the Summer 2014 session. Are you ready for personalized genomic medicine? The modern ahola shirt? Sprayable energy? Breakthrough anticoagulation therapy? Founders working on those challenges and many others have settled into our new, 13,000 square foot compound for entrepreneurs. They’re the first StartX class to call this place “home” for the next 3-6 months. They’re also the largest session we’ve admitted since our nonprofit program launched in 2010. This summer, day-to-day, we are supporting 73 founders who are working on 32 high growth startups. It’s the kind of place where everyone is pursuing their passion business and everyone feels — unstoppable. With new fundings weekly, that energy is being rewarded with investment. While the appetite for investment is apparently quite healthy, in many cases, it has followed some very promising growth. For some startups, these revenue streams come from several years of research and market testing. Whether they’ve had some time to mature or are just getting started, across the portfolio, our companies are working on a broad array of solutions. They’re producing medical devices, helping people find love and romance, streamlining the trucking industry, eliminating night terrors for children, providing open source machine learning solutions, and etc. 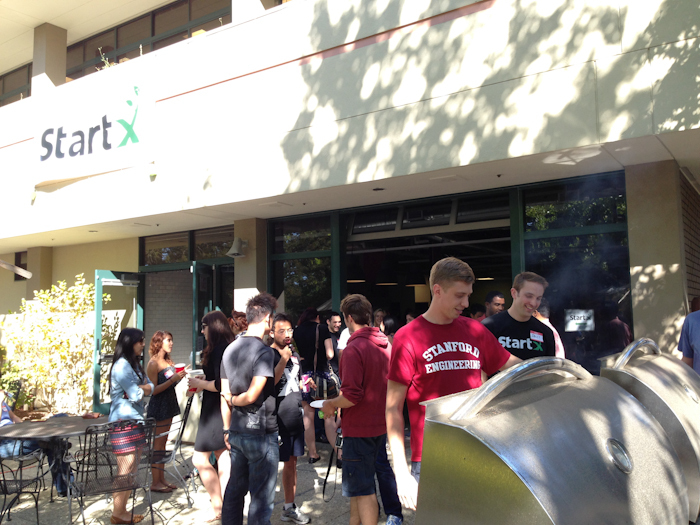 Want to learn more about the StartX summer session? Follow this blog and/or follow us on social media. We’ve got some great stories. You’ll be inspired and informed!